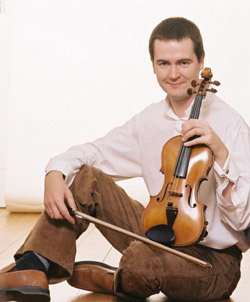 Irish violinist Darragh Morgan has a hugely diverse career. Concerto highlights include working closely with Arvo Part, performing his Tabula Rasa at the RTE Living Music Festival, followed by over 20 performances with London Musici / Rambert Dance Company. Regular solo appearances with the Ulster Orchestra include the world premiere of Sir John Tavener’s Hymn of Dawn which he also performed with the Istanbul Symphony Orchestra, Dallapiccola's Tartiniana Seconda, world premiere of Bill Campbell’s Swim for Violin & Orchestra, live on BBC Radio 3 from Sonorities Festival and Samuel Barber’s violin concerto which Darragh also gave the South African premiere of with the KZN Philharmonic Orchestra. He has recorded Donnacha Dennehy’s Elastic Harmonic with the National Symphony Orchestra of Ireland, with whom he has also premiered Brian Irvine’s A Mon Seul Desir and gave the world premiere of Andrew Poppy’s Darwin’s Sin Draw with the Crash Ensemble. Other concerto appearances include Koln Kammer Orchester, Camerata Tinta Barocca Cape Town and Cyprus Symphony Orchestra. As a chamber musician and soloist Darragh has performed at many International Festivals including Warsaw Autumn, Wien Modern, Ars Musica Brussels, Maerz Musik Berlin, Festival d’Automne Paris, Klangspuren Schwaz, Osterfestival Tirol, Dubrovnik Summer Festival, Lucerne Festival, National Arts Festival South Africa, BBC Proms Chamber Music, Aldeburgh, Spitalfields, Cheltenham, Brighton, Huddersfield Contemporary Music Festival, ICMC, Ether Festival, City of London Festival and St Magnus International Festival. He is violinist and founding member of the Fidelio Trio with whom he has appeared at the Wigmore Hall, Shanghai Oriental Arts Centre, Symphony Space New York, Casa da Musica Porto, Johannesburg Musical Society and recorded Michael Nyman’s complete piano trios for MN Records. They are currently Artists in Residence at St Patricks College, Dublin. Previously as violinist with The Smith Quartet Darragh performed and recorded with as diverse artists as Philip Glass, Louis Andriessen, Gavin Bryars and Steve Reich. They appeared internationally at Seoul Arts Centre, Bang on a Can Marathon New York, The Phillips Collection, Washington D.C. and made an acclaimed recording of Philip Glass’ complete string quartets on Signum Records. World-class international groups Darragh has led include Ensemble Modern, London Sinfonietta, Musik Fabrik, Birmingham Contemporary Music Group, Remix Ensemble, Athelas Sinfonietta and Red Note Ensemble, collaborating with conductors such as Pierre Boulez, Oliver Knussen, Heinz Holliger, Paul Daniel, Francois-Xavier Roth and En Shao. He has been invited to lead the Macau Orchestra, Les Siecles, Opus 20, English Touring Opera, BBC 2’s Genius of Beethoven series, English Session Orchestra and throughout the 2004 season was Artistic Director of Baroque 2000 in South Africa. Darragh has recorded over 50 CDs for labels including Mode, NMC, Black Box, Altarus, Naxos, Nimbus, Signum and Delphian. He broadcasts regularly on BBC Radio 3, NPR, CBC, WQXR, RTE and WDR. Darragh is currently professor of violin at The Royal Welsh College of Music and Drama, guest violin lecturer at Royal Conservatoire of Scotland and previously Director of The Junior Guildhall String Ensemble. Darragh is Course Director of Pro Corda Violin Course. He has taught chamber music and contemporary music performance at the Royal College of Music, Trinity Laban Conservatoire, Britten-Pears Young Artists Programme and Apple Hill Centre for Chamber Music. He has been invited to give masterclasses at Stellenbosch Conservatorium, Busk Aid Soweto, Hong Kong Academy of Performing Arts and Birmingham Conservatoire. In 2010 Darragh curated The Irish-American Series at Kings Place, London and has been Artistic Director of CoMA’s Open Score project and Music @ Drumcliffe in Ireland. 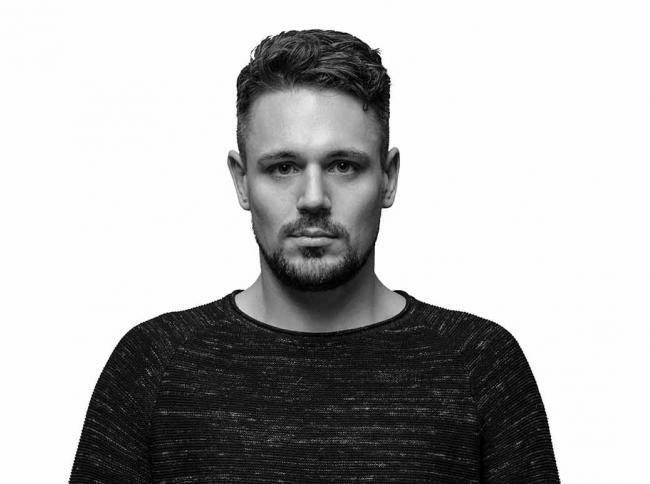 Darragh has appeared as a mentor on the RTE series Classic Jam, working with a young string quartet and also as mentor to Katie Derham in the Sky Arts production, First Love. Darragh has premiered music by Johannes Maria Staud, Michael Nyman, Arvo Part, John Tavener, Gavin Bryars, Kevin Volans, Howard Skempton, Yannis Kryakides, Emmanuel Nunes, Gerald Barry, Graham Fitkin, Mira Calix and Stephen Montague. Composers who have dedicated works to him include Michael Finnissy, Chris Newman, Donnacha Dennehy, Joseph Phibbs, Richard Causton, Joe Cutler, Deirdre Gribbin, Ed Bennett, Micheal O’Suilleabhain, Piers Hellawell, Andrew Poppy, Morgan Hayes, Dmitri Smirnov, Christopher Fox, Lukas Ligeti, Jonty Harrison and Simon Emmerson. He has collaborated with a wide range of artists including Rokia Traore, Thomas Ades, Emmanuel Pahud, John Tilbury, Joanna MacGregor, writer Alexander McCall Smith, French Horn player Richard Watkins and Jazz saxophonist Peter King. Darragh studied with Detlef Hahn at the Guildhall School of Music & Drama, London. He has received chamber music coaching from The Amadeus & Takacs String Quartets, and participated in masterclasses with Sidney Griller, Yehudi Menuhin, Mauricio Fuks, Paul Zukofsky, Pinchas Zukerman, Yfrah Neaman, Pierre Amoyal and in the field of Irish traditional music during his formative years with the legendary Sligo fiddle player Joe O Dowd. Darragh plays an 1848 Giuseppe Rocca violin, generously on loan from the Morgan-Rocca Instrument Trust which is administered by The Royal Society of Musicians. Ruaidhri Mannion is an Irish composer and sonic artist living in London. He is a Royal College of Music Scholar, completing his doctorate under the supervision of Dr. Jonathan Cole and Gilbert Nouno (IRCAM), and generously supported by the Soirée d'Or Award. Ruaidhri specialises in combining electronic sounds with classical instruments and multimedia to create immersive and evocative live concert experiences. He is interested in collaborating with film, television & theatre directors, choreographers & dancers, scientists and musicians of myriad styles on interdisciplinary projects and live multimedia events. Recent highlights include a commission from Nouvel Ensemble Contemporain in Switzerland to create 'Mise en Abyme', an immersive multimedia creation co-authored with the composer, Benoit Moreau, that premiered in May 2017. Ruaidhri also has commissions from the Whitecube Gallery, London to compose music for the ‘Tribunal of the Dusk’ installation; a saxophone sextet commission for the Royal Academy of Art's 'Sensing Spaces: Architecture Reimagined' exhibition; and an interactive electroacoustic performance at the Tate Modern's critically acclaimed 'Matisse: The Cut-Outs' exhibition. His music has been broadcast on BBC Radio 3, NTS Radio, Resonance FM, Radio Télévision Suisse, BBC Radio 1 NI, BBC Radio Foyle, RCA Radio and been performed in venues such as Kings Place, Whitechapel Gallery, Royal Academy of Arts, Cadogan Hall, Sonic Arts Research Centre, National Portrait Gallery and the Tate Modern.